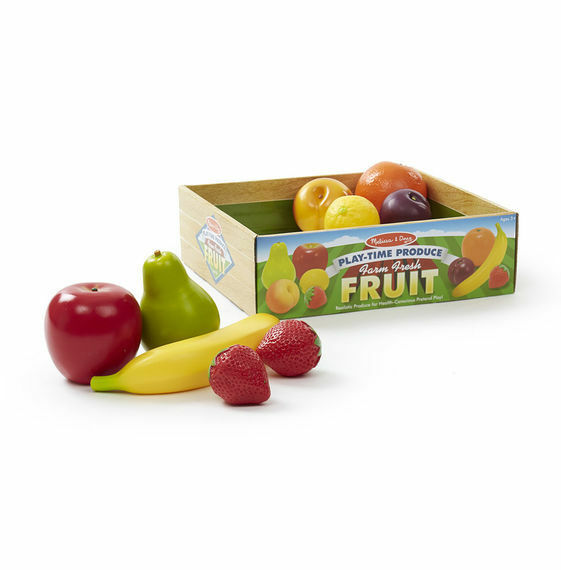 Picked at the peak of ripeness, these realistically sized fruits come packed with vitamin "P" for play! 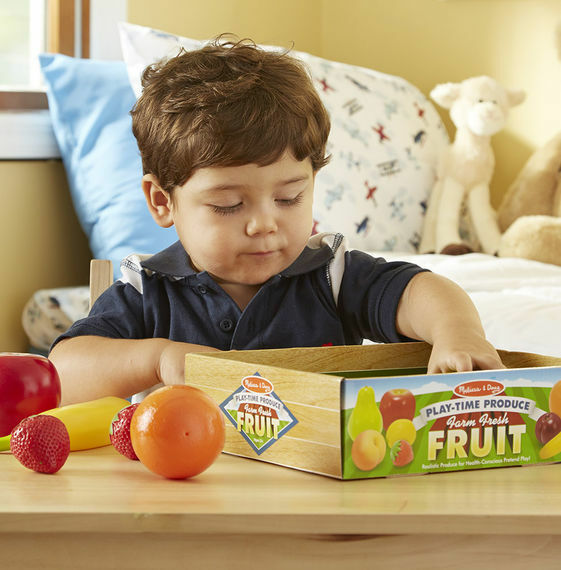 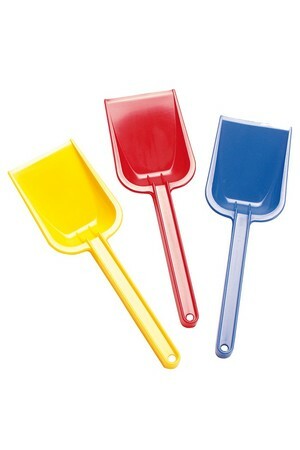 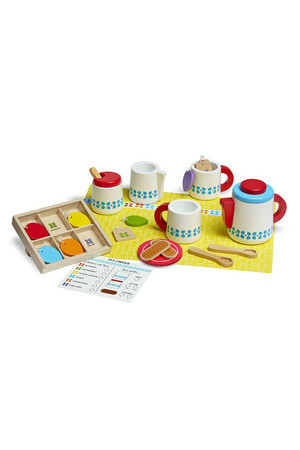 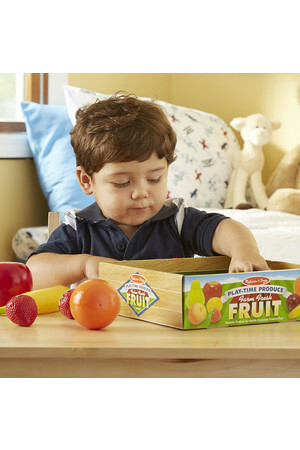 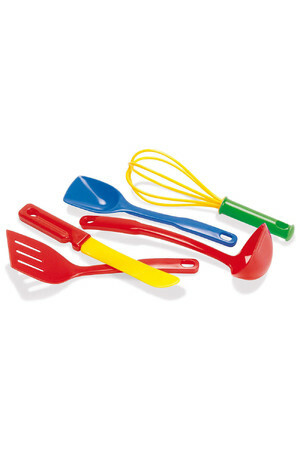 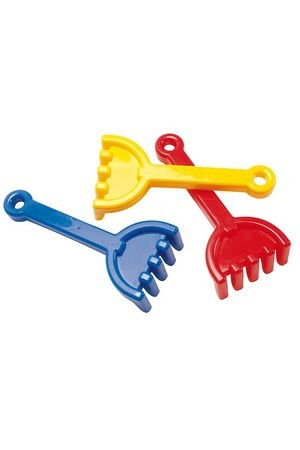 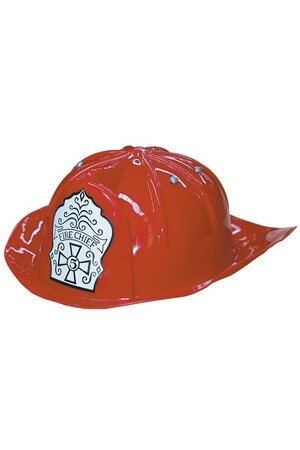 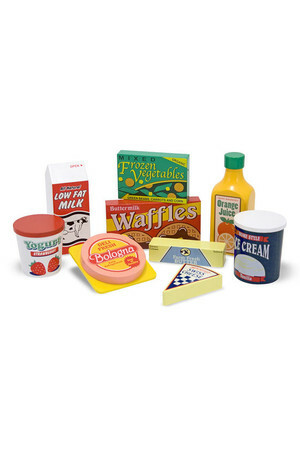 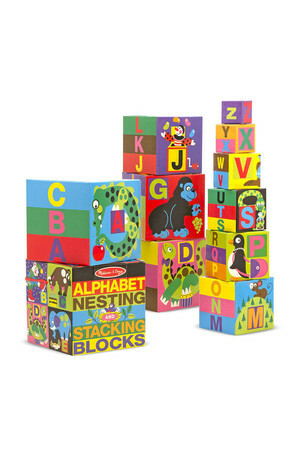 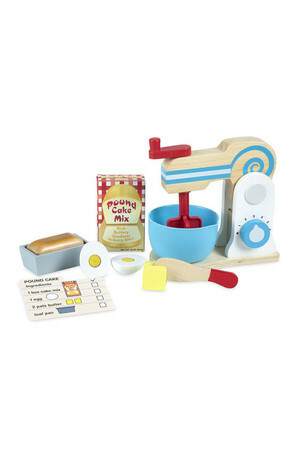 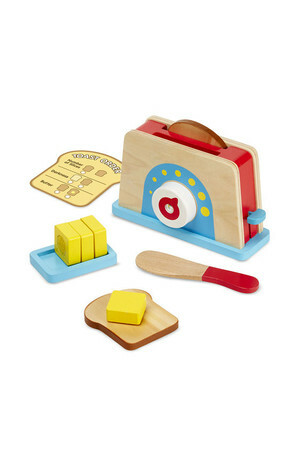 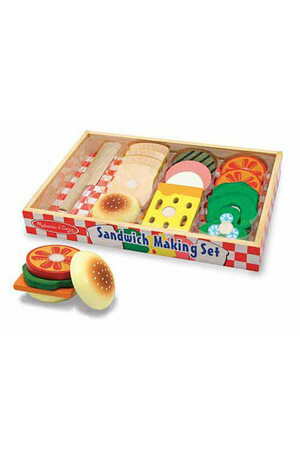 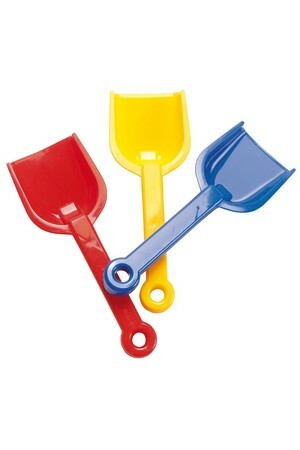 Part of the series Melissa & Doug - Wooden Play Food & Accessories. 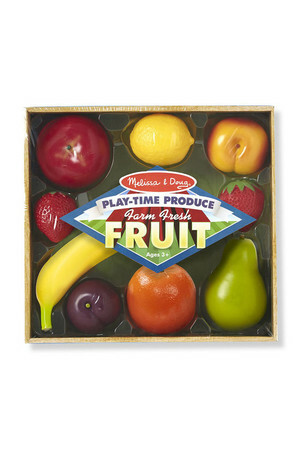 Picked at the peak of ripeness, these realistically sized fruits come packed with vitamin "P" for play! 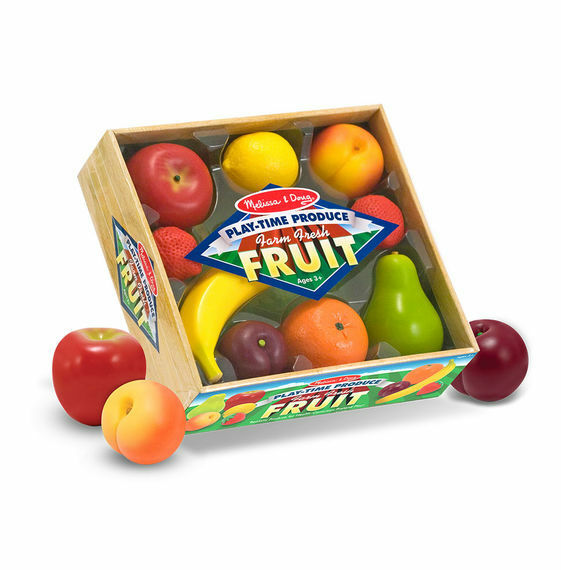 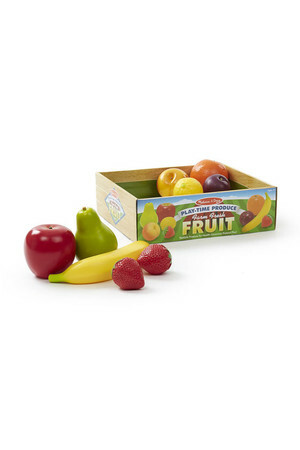 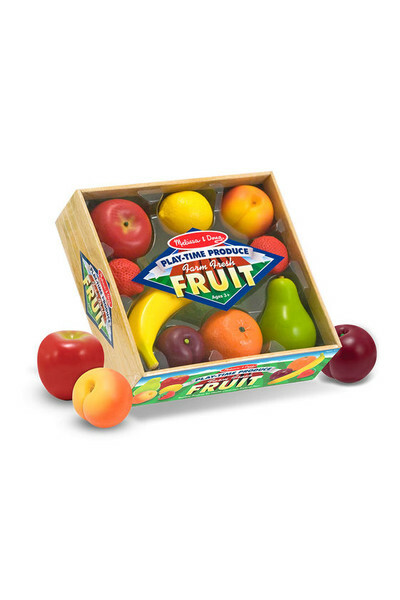 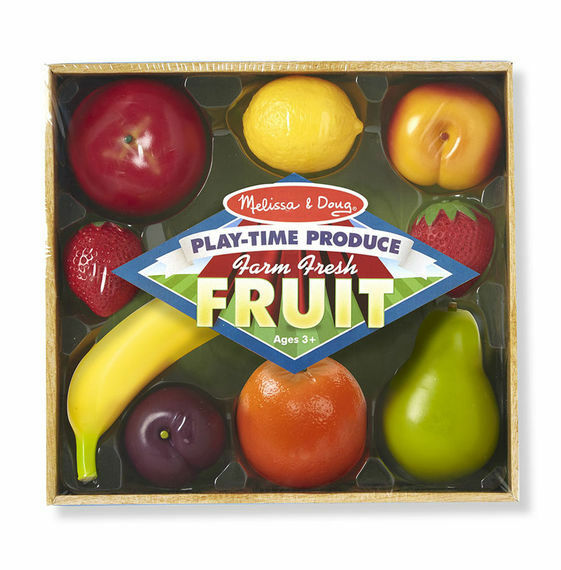 There are nine pieces in this crate of "farm fresh" favourite fruits, each made of durable moulded plastic to withstand years of supermarket, restaurant, and farmer's market play.